Spring 2019 League Teams - REGISTRATION IS OPEN!! Pitt County Youth Lacrosse sponsors a full range of teams for boys and girls in the spring. Teams compete in the East Carolina Youth Lacrosse League. Practices are typically two times per week with games being played on Saturdays. Rental equipment is available for new players. No previous experience needed. A positive attitude is all that is required. Parents and volunteer coaches are welcome to help assist our US Lacrosse certified coaches. Fee: $125 per player with $20 discount for each subsequent player from the same family; must also have a current US Lacrosse membership ($30-35 annual fee). EARLY BIRD DISCOUNT: If you register before January 1, registration is $115 per player with a $20 discount for each subsequent player from the same family; must also have a current US Lacrosse membership ($30-35 annual fee). Registration will begin in late fall. *No male players may be rostered on a High School team. 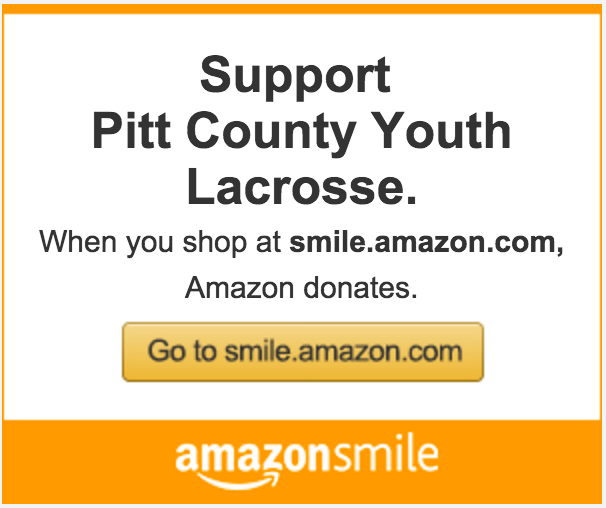 Pitt County Youth Lacrosse (PCYL) is a not for profit organization that is dedicated to developing a vibrant youth program that will teach area kids, ages 5 to 15, the great game of lacrosse in a fun, positive environment. PCYL offers clinics in the fall and team play in the spring. We have over 100 members and play in the East Carolina Youth Lacrosse League (ECYLL) with teams from New Bern, Havelock, Topsail, Cape Carteret and Jacksonville, totaling over 1,000 members. Our teams also play in regional tournaments and against other area schools such as Parrott Academy and Outer Banks Lacrosse Club. Our players, both girls and boys, now feed into high school teams at D.H. Conley and J.H. Rose here in Greenville. These teams were started with our assistance. 2016 marked PCYL’s 10th year of providing kids in the Pitt County area an opportunity to play lacrosse. If you are interested in learning more, please contact us! If you own a business, work for a business and/or know of a business/individual that would like to sponsor PCYL, please let us know. Pitt County Youth Lacrosse (PCYL) is a not for profit organization and is tax exempt under Section 501 (c) (3) of the Internal Revenue Code. All donations to PCYL are tax-deductible to the extent permitted by law. We would like to thank the following businesses and individuals for already signing up to support our 2019 Season! Pitt County Youth Lacrosse - We are currently working on an online shop for 2019 spirit wear apparel. Stay tuned! High Tide Embroidery - High Tide is the only authorized embroider of Pitt County Youth Lacrosse logos. Not only do they have a variety of items for embroidery (caps, visors, headbands, shirts, sweatshirts, etc. ), you can also have them embroider on your own items (lacrosse bags, shirts, etc.) See samples on their website (http://www.hightideembroidery.com/pitt-county-lacrosse-pitt-lax/) and contact them at hightideembroidery@gmail.com.